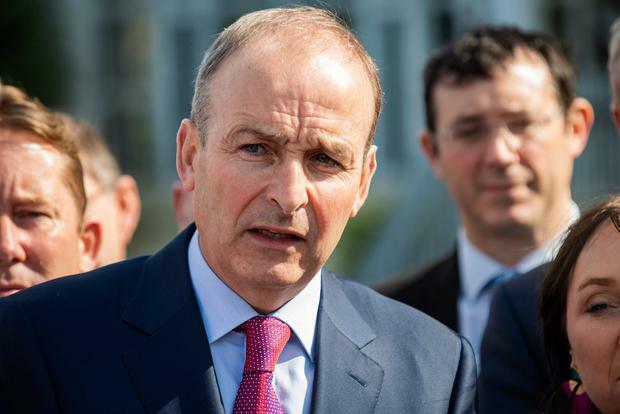 Fianna Fáil leader Micheál Martin has rejected claims that his party's €200m affordable homes plan is "insufficient, inefficient and unsustainable". Mr Martin's party is seeking the scheme - which would see the provision of 4,000 affordable homes on State-owned land - as part of its Budget demands. It is envisaged the homes would cost between €160,000 and €200,000. The criticism of the plan came from the Labour Party's housing spokesperson, Jan O'Sullivan. She argued the number of homes involved was insufficient when compared to the tens of thousands of units needed each year. Ms O'Sullivan also claimed the plan would see a €50,000-per-home subsidy paid to developers and would also see public land given away for free. Mr Martin hit out at what he claimed was Labour's "instinctive reaction" of "negativity and criticism". He said the affordable housing scheme was one of a "suite of proposals" by Fianna Fáil, including seeking more council houses. Mr Martin insisted State land wouldn't be given away to anybody other than the couples who would buy the homes - "people who pay their taxes ... who will own their homes at a reasonable cost". A Government spokesman said the proposal would be dealt with as part of Budget negotiations. Housing Minister Eoghan Murphy secured Cabinet approval to set up a new Land Development Agency, which has a brief that includes developing social and affordable housing.